SKU: SH222. Listed in: Halloween, Horror, Makeup, Makeup. 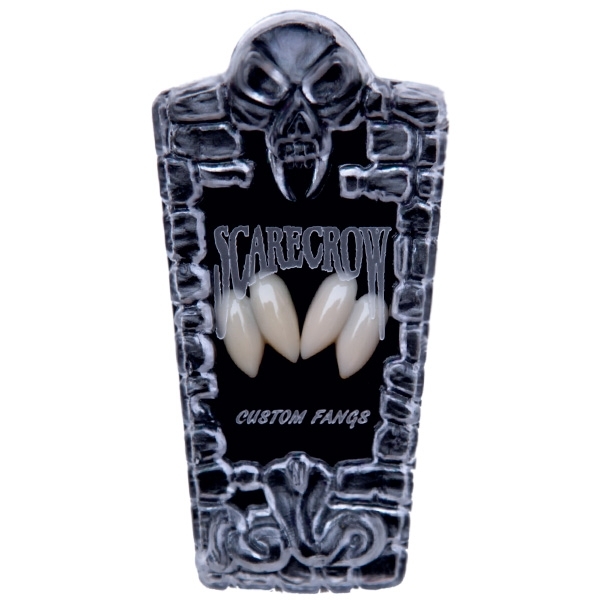 Tags: fangs, Scarecrow, teeth, Vampire. 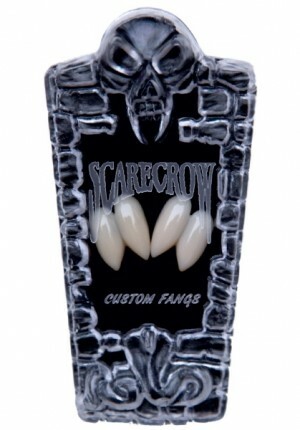 Vampire fangs made by Scarecrow. Great double teeth that come with moulded adhesive. Large size ideal for men. Perfect for an extra scary teeth effect. Best quality teeth to give the most realistic effect.